The gradual dismantling of norms and gender stereotypes in Asian militaries can have a positive impact on other areas of society. The U.S. Pentagon has revealed that over the course of the next few years, nearly all combat slots will become open to women. The announcement changes years of traditional military practice, and will likely have an impact both domestically and worldwide. While this move towards equality acknowledges the fact that women are capable of serving in these highly skilled and trained positions, it’s crucial to note that on the ground, women have already been serving in combat for quite some time. Formal Pentagon recognition of their status is significant, and a welcome sign that women risking their lives are increasingly receiving the same credit that men already do. Representative Duckworth is not alone. 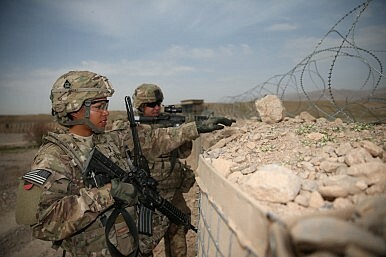 Women comprise approximately 14 percent of the nearly 1.5 million active military personnel. Over 280,000 women have served in both Iraq and Afghanistan, and 152 of the more than 6,600 U.S. service members killed there have been women. For any military division, the hope is that the best of the best end up on the front lines. With women now being considered for over 230,000 new posts, the pool of elite candidates will ideally increase. Following the Pentagon’s announcement, the United States will soon join the ranks of countries like Israel, Australia, Canada, Norway, France, and New Zealand in allowing women to protect and serve their countries from the front lines. Much of the attention regarding this announcement has focused upon women in the Western world. However, what is the current status of military women in various Asia-Pacific countries? North Korean women are eligible for combat roles in the military. In fact, Kim Jong-un is reportedly a frequent visitor to an all-women's artillery company under the Korean People's Army Unit 4302, the Thrice Three-Revolution Red Flag Kamnamu [persimmon tree] Company. Conversely, the South Korean Ministry of Defense stated in September 2011 that it is in the process of opening up more front line positions to women. Defense planners anticipate that women will serve in 12 combat branches by next year, including the army's artillery and armored divisions; the air force's air defense; and the navy's fire control.